Ruthiebear (Titusville, NJ, United States) on 6 July 2015 in Lifestyle & Culture. Superbe vue de ces beaqux drapeaux quelle iamge. with beautiful composition, DOF, colors & lighting! 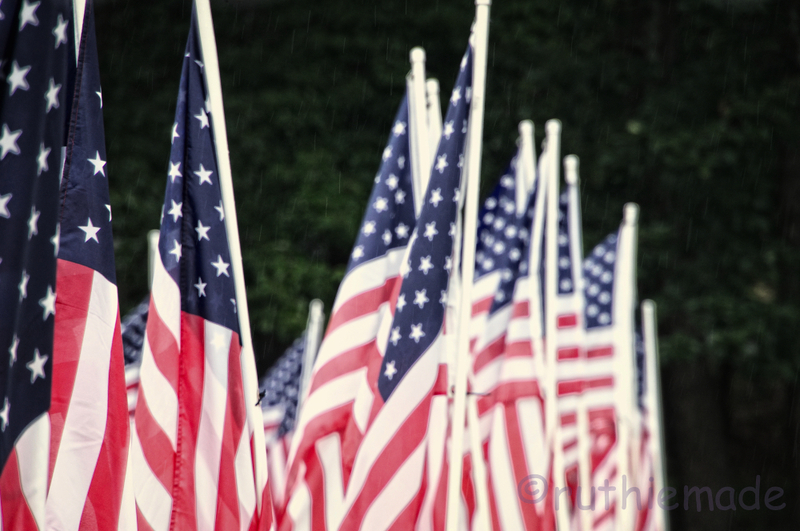 @Phil David Morris: This was taken between the horizontal fence posts so I could see the entire flag. Nice idea. It's a great tribute to your flag. I like a lot ! A fine picture for this 4th season. Nice one. A beautiful shot framing all those flags! Happy new week,my good friend! A great frame of colors that you've captured!! And your DoF works perfectly here! I hope you had a wonderful Fourth! A fabulous image of the flags! Perfect for Independence Day! Nicely shot in the rain, Ruthie.